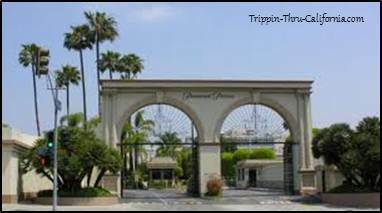 The Bronson Gate Entrance at Paramount Studios is one of the most photographed features. This gate has been featured in many movies and dates back to the early days of the studio. It is aligned so that the famous “Hollywood sign” can be seen directly through it. They are located at 5555 Melrose Avenue in Hollywood, California. To find these historic archways just type in your starting address. Tickets are $45.00 and you must be at least 12 years old. The Studios at Paramount’s New York Street / Backlot encompasses a 5-acre site and recreates eight distinct areas of the city. Brooklyn, Brownstone, Financial District, Greenwich Village, Lower East Side, SoHo, Upper East Side, and Washington Square. They also have the Chicago Section of the backlot, which resembles common architectural styles found in the Midwest. At several stories tall, the facades in each and every section create an authentic urban atmosphere perfect for capturing the excitement and drama that New York and other major metropolitan areas provide (even when they’re in Hollywood). Movie and television productions filmed at Paramount Studios: C.S.I. New York, Mr. and Mrs. Smith, Along Came Polly, Fat Albert, Frasier, Losing Isaiah, Everybody Hates Chris, America’s Next Top Model, Charmed, Boston Public, Mission: Impossible III, 24, Nip/Tuck, Yes Dear, The Practice, Ally McBeal, Jake in Progress, One on One, Navy NCIS, Judging Amy, JAG, Daredevil, Hallmark’s Silver Bells, Becker, Close to Home, Elizabethtown, Seinfeld, Monk, Barbershop, Vanished, My Boys, American Idol Music Videos and lots and lots of commercials! Note: This information was accurate when I published it, but can change without notice. Please be sure to confirm all rates and details directly by calling 323-956-1777 before planning your trip.